Ni Gallant: Did you miss me? You probably haven't noticed but I haven't been around much these last couple of weeks! 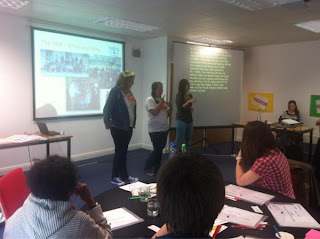 I've been off travelling around the countries doing lots of fun things, especially NDCS events! The other weekend I was volunteering at a Pre-Secondary Weekend in a place called Irthlingborough, near Northampton. The idea of the weekends is that all the parents come together and meet with other parents, NDCS staff and in particular education advice people who talk about statements, picking the right school etc. The parents (and kids!) 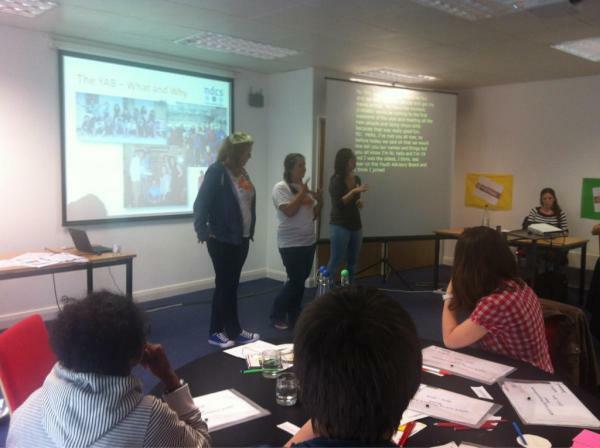 also get to meet Deaf role models who share their experiences of secondary school and what worked for them. The new YAB have done most of the same activities that we did last year... Talking about why they wanted to join the board, getting to know each other and discussing their rights as young people. You put in a previous blog that your audiologist "is deaf herself". How do her hearing aids differ from yours, and does anybody wear hearing aids like you would have to wear? Can you describe your "perfect" hearing aid, including colour? What caused your hearing loss? Hi, Im not sure what hearing aids my audiologist wears. I havent asked! Maybe I should? She always has her hair down. Most people I know with the same hearing loss as me wear the same hearing aids as me.